How do I book a shipment with you? What can Gee Offshore do to help my shipment? What are your packaging recommendations? Do I require insurance cover? Do you ship hazardous/dangerous goods? Do you ship from the Islands to the UK? How do you provide Proof of Delivery? We want to make booking a job as easy as possible. 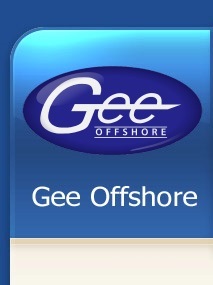 You can email us on - sales@geeoffshore.co.uk. We will contact you to confirm your booking and arrange your collection. Provide necessary paperwork where required. Provide PODs and return your own paperwork when requested. Colour coded ID tape for each island. Delivery notes and labels for each consignment. Contact the consignee on your behalf to arrange deliveries. Arrange for special deliveries such as Police escorts, Hiab off-loading. Lets us know if you have any special requirements and we will be pleased to assist. We accept cheques made payable to "Gee Offshore" and BACS payments (please contact us for our BACS details). We offer a credit account for regular customers. If you want to apply for a credit account we require you to pay for the first consignment and then fill out and return our Credit Application Form. We carry goods under the Road Haulage Association (RHA) Conditions of Carriage 2009 - membership number 0008107-000. Copies are available here. As all shipments involve transit by sea, items should be suitably packaged to endure long sailings and rough seas - see image below. We advise that Marine Cargo Insurance Cover is provided for all shipments in transit. Carriers’ terms and conditions can limit liability in the event of loss or damage. The law sets limits on the compensation carriers are required to pay. There is no guarantee of a recovery against a carrier for loss or damage to goods and if a recovery is successfully made it is frequently not for the full amount of the loss. If you do not have existing insurance arrangements we can offer competitive rates for marine insurance via the Beazley Group. If you would like us to arrange adequate insurance please notify us prior to shipping. For further information please download our Marine Cargo Policy - Key Facts and Marine Insurance Clauses or contact us on 01274 484848. Yes, we carry hazardous/dangerous goods and require you to provide a Dangerous Goods Note (DGN) and TREM card. Please be aware that since part of the transit is by sea, special attention should be paid to marine pollutants. Additional information regarding dangerous goods can be found here. We provide all the relevant paperwork where necessary, such as delivery notes and labels. Simply provide us with the collection address, delivery address and contact details and we'll do the rest. 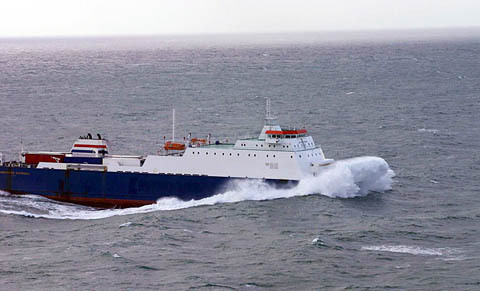 Goods shipping to the Channels Islands are classed as non-EU exports and require a commercial invoice. We work with Jersey and Guernsey Customs and declare all shipments on your behalf. Yes, we offer a full service for imports and return shipments to the UK. We can assist you with the necessary paperwork. Please contact us with your requirements. We scan and archive all our proof of delivery paperwork. We currently email PODs as requested and are currently making PODs available online to registered customers. If you require a copy POD with invoice please inform us. If you require any further assistance please contact us on 01274 48 48 48.